The purchase of a new home can be an exciting and sometimes daunting adventure. Even moving to a new apartment can challenge the most organized among us. A great deal of time and effort can be consumed by the packing, planning and cleaning required, not to mention the actual move itself. During this hectic period you can expect a few things to be overlooked or postponed, at least until the dust settles. One priority that should be at the top of your checklist and never overlooked or delayed is the security of your new home, possessions and, of course, your family. It cannot be overstated how important changing the keys and locks to your new home, apartment or condo is. Sure, the elderly couple you purchased the home from were just wonderful and completely trustworthy. But were the set of keys you received at closing really the ONLY keys? Did the previous homeowner loan keys to caregivers, family members, neighbors or cleaning companies that may not have been returned? This is only one example of why you need new keys to all the locks in your new home. 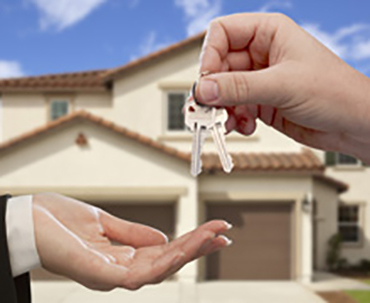 Today’s home insurance companies often frown on folks who don’t change the keys on their new home once they move in. Often when a claim is made, these companies will want to see signs of forcible entry to ensure homeowner neglect was not the underlying cause. With the frequent turnover associated with apartments or rented out condos, being assured that the new keys for new locks are made is every bit as important. Make your landlord or property manager put in writing that your new apartment has been rekeyed or has had the locks replaced since the last tenant. In the past 40 years there have been huge numbers of lawsuits that have been brought on, and won, by tenets who were victims of crime because the landlord neglected to provide this most basic of security precautions. Another important measure of the security of your new home is the having deadbolts on all exterior doors. While a locking door knob was once thought to be the only lock needed, sadly many people today still rely on this inadequate and minimum form of security. A lone locking door knob offers nearly no protection from the most common method employed by burglars: forced entry, either by kicking or “shouldering” the door in. While on its surface it may seem a cheaper option to simply purchase new locks at the hardware store and install them yourself, choosing to hire a licensed professional locksmith to assist is a wise decision for many reasons. First, all locks and door preparations are not the same. When dealing with locks, one size most definitely does not fit all. Large variations can exist depending on the age, brand and type of lock and door. What was initially expected to be a do-it-yourself project lasting an hour or two could easily take up an entire weekend, or worse. Second, doorknobs and other locking mechanisms available in your typical home improvement store tend to be of lesser quality than those available through specialty lock and security providers. 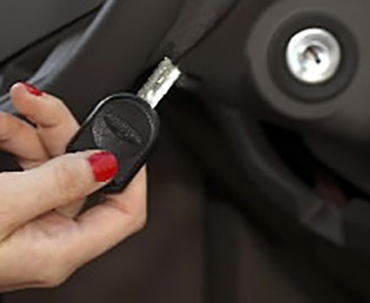 This is largely due to the specific skills involved in the installation and maintenance of the locking mechanisms. Those made for the professional market are going to be geared towards the skills of a journeyman locksmith rather than the weekend handyman. This difference can have a major impact on your security. Ultimately, the decision to hire a locksmith or to go with a do it yourself approach is one you’ll make based on the criteria that are important to you. You’ll just want to think it through carefully. Consider your attitude towards security along with all of the things that are at risk if you don’t perform this simple security update. Either way, change your keys!